"It's 10:30 Johnny, so what do you want?.." 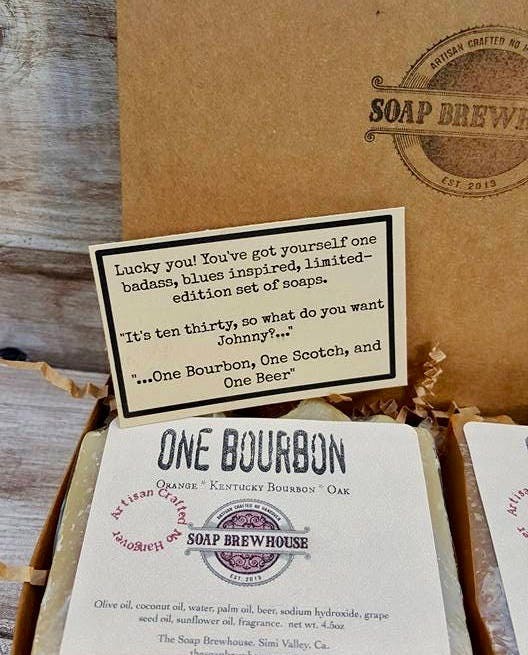 "One Bourbon, One Scotch, and One beer.." Sing along with me..
One Bourbon is a spiced Kentucky Bourbon blend with bergamot, Brazilian orange, oak cask, and clove. One of my favorites! One Scotch is a stronger note of Scotch Whiskey followed by cedar wood and cigar. One Beer is an awesome blend of sweet tobacco leaves and black tea. A little fruity...a little spicy.. another Brewhouse favorite. 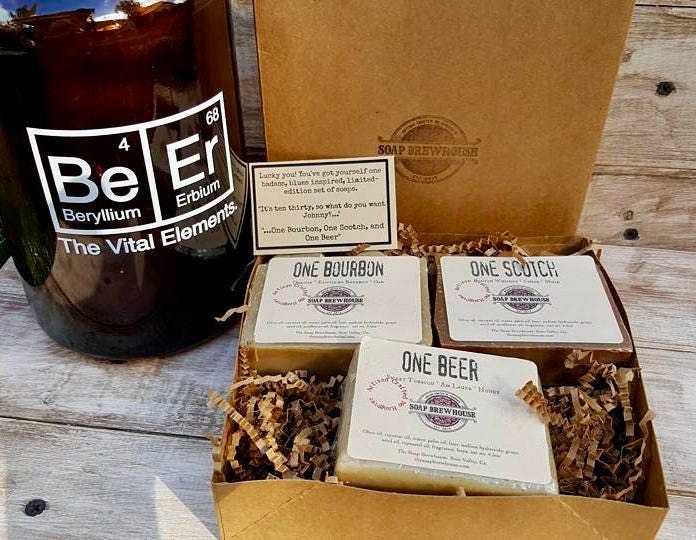 This set is an awesome beer soap gift. Comes packaged, all ready to go in its own box (see pic). Rice bran oil, coconut oil, palm oil, water, *sodium hydroxide, beer, grape seed oil, rapeseed oil, fragrance, hops. No added colors. *sodium hydroxide is an alkali used in the saponification process of making soaps. It is not present in the final product...promise. Item is great, smells nice & well packaged. The package is so so pretty! It smells so amazing, my Dad will love it! 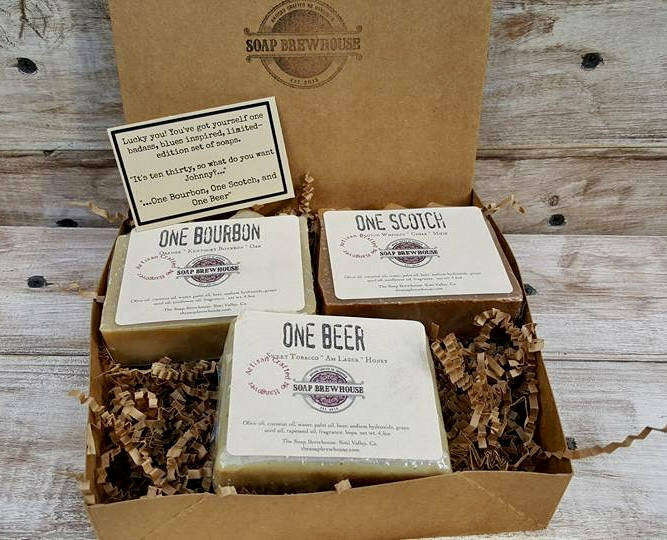 Love this soap gift set I purchased as a Christmas gift! Awesome packaging and the soap smells SO good that I think I need to order more! Seller shipped very quickly and arrived by the arrival date posted! Stellar product and service! 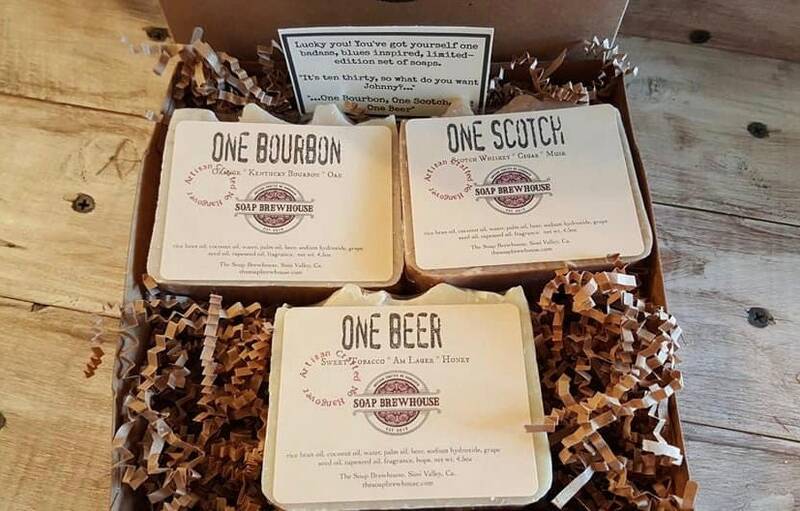 I bought the soap collection for my husband for Father’s Day. 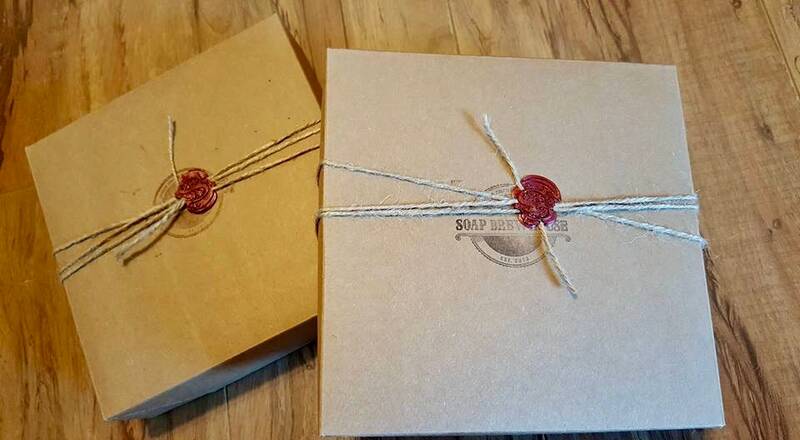 Shipping was quick, packaging was lovely, and the soaps smell soooo good!